Success! 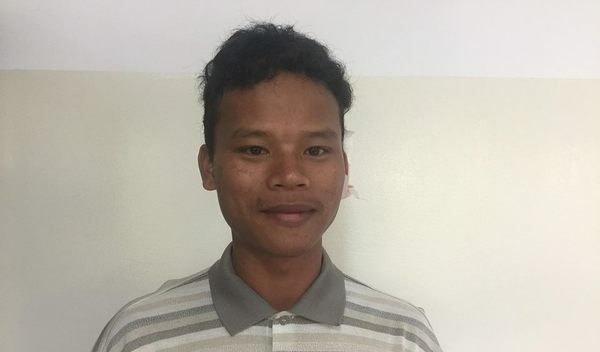 Oudom from Cambodia raised $842 to fund ear surgery. Oudom's treatment was fully funded on September 13, 2018. Oudom’s operation went well. Surgery will improve his quality of life by eliminating ear discharge and discomfort. Surgery is also important to ensure he does not suffer from hearing loss. Oudom is a grocer from Cambodia. He has one daughter and one son. He likes to listen to music and play football. Fourteen years ago, Oudom had an ear infection. This infection caused a cholesteatoma, or an abnormal skin growth, to develop in the middle ear behind the ear drum. For this reason, Oudom experiences pain, tinnitus and ear discharge. It is difficult for him to hear well. Oudom traveled to our medical partner’s care center to receive treatment. On September 6, he will undergo a mastoidectomy procedure in his left ear. During this procedure, ENT surgeons will remove the cholesteatoma. Our medical partner, Children’s Surgical Centre, is requesting $842 to fund this procedure. This covers medications, supplies, and inpatient care. Oudom's case was submitted by Lindsay Bownik at Children's Surgical Centre in Cambodia. Oudom was submitted by Lindsay Bownik, Stakeholder Relations Officer at Children's Surgical Centre, our medical partner in Cambodia. 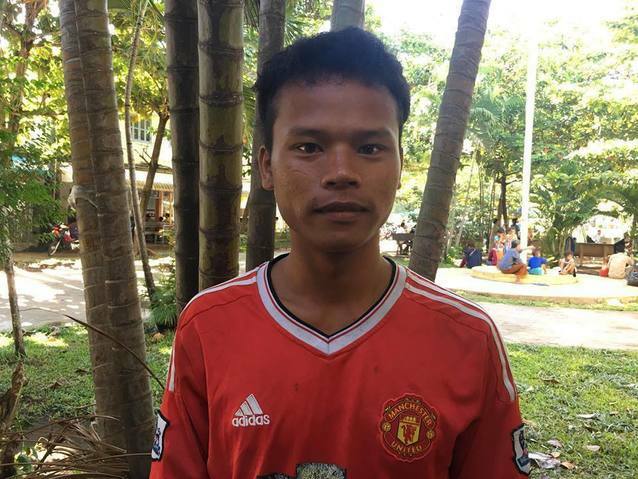 Oudom received treatment at Kien Khleang National Rehabilitation Centre. Medical partners often provide care to patients accepted by Watsi before those patients are fully funded, operating under the guarantee that the cost of care will be paid for by donors. Oudom's profile was published to start raising funds. Oudom's treatment was successful. Read the update. Oudom's treatment was fully funded. A mastoidectomy is a surgical procedure that removes diseased mastoid air cells. A patient who needs a mastoidectomy will experience hearing loss, chronic ear infections, and possibly cholesteatoma—an abnormal skin growth in the middle ear. Cholesteatomas cause hearing loss and ear discharge. The cholesteatoma will erode bones in the middle ear and can eventually expose the brain and cause death in complicated, untreated cases. Patients live with hearing loss and chronic ear infections. Treated incorrectly or left untreated, an infected mastoid bone can cause hearing loss, persistent ear discharge, meningitis, temporary dizziness, and temporary loss of taste. Due to poor hygiene and limited education in rural Cambodia, patients are likely to experience complications and receive the incorrect treatment. A mastoidectomy is performed with the patient asleep under general anesthesia. Surgeons will perform one of several different types of mastoidectomy, depending on the amount of infection present. These include: • Simple (or closed) mastoidectomy: The operation is performed through the ear or through an incision behind the ear. The surgeon opens the mastoid bone and removes the infected air cells. The eardrum is incised to drain the middle ear. Topical antibiotics are placed in the ear. • Radical mastoidectomy: This procedure removes the most bone and is usually performed for extensive spread of a cholesteatoma. The eardrum and middle ear structures may be completely removed. Usually the stapes, the "stirrup"-shaped bone, is spared to preserve some hearing. • Modified radical mastoidectomy: In this procedure, some middle ear bones are left in place, and the eardrum is rebuilt by tympanoplasty. After surgery, the wound is stitched up around a drainage tube, and a dressing is applied. This treatment will relieve chronic ear infections, hearing loss, and other symptoms caused by the infected mastoid bone. This treatment is highly effective, but it poses risks if performed by an inexperienced surgeon. The operation is near the facial nerve and the brain, so surgeons must be careful when operating. At Children's Surgical Centre, ENT surgeons only operate on cases about which they feel confident. Care for this condition is not easily accessible in Phnom Penh. Only one other hospital performs ENT surgery, but care at that hospital is expensive. The ENT surgeons at our medical partner have a proven record of successful cases. Once the infection stops responding to antibiotics, surgery is the only option.